Sorry, I’ve been MIA lately. Still dealing with exams, nothing has changed – except the fact that I’m soon done with them, thank god! I’m very satisfied with the results so far and hope it will go equally well with my other 2 exams that I have left. 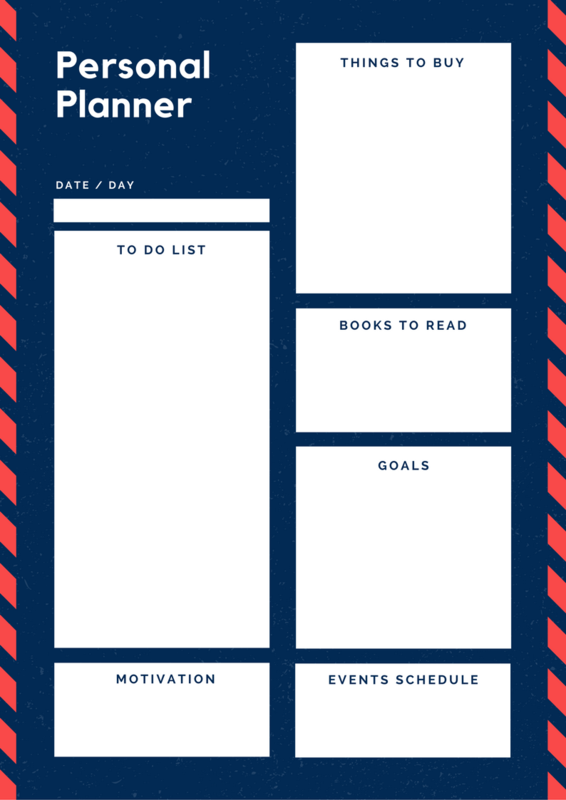 Today I wanted to talk about productivity and give you again free templates of daily planners to plan your time productively. I got a very positive response from you guys when I posted the free workout planner templates, so I thought I’d do it again, only this time for regular daily planning. Let’s face it, all of us have been at some point in life super stressed about not finishing things on time or having to handle something last minute, whether that is in regard to exams, work projects or private arrangements. But no more, let’s use this new year to change these bad habits into good ones and make our lives easier. I’m a very visual person, so it’s the same for my to-do lists. In terms of productivity, having a cute daily planner on my wall is the one part of satisfaction, while the other is being able to cross things off the to-do list. It’s all about creating positive vibes, so that you feel keener on getting things done. 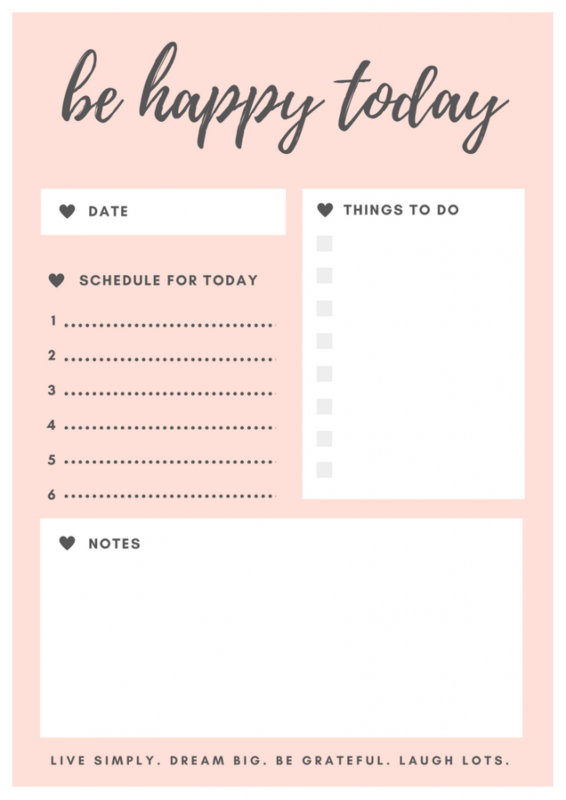 I suggest printing the daily planner out and hanging it somewhere, where you see it all the time, whether that is somewhere in your room, fridge, or anywhere else. 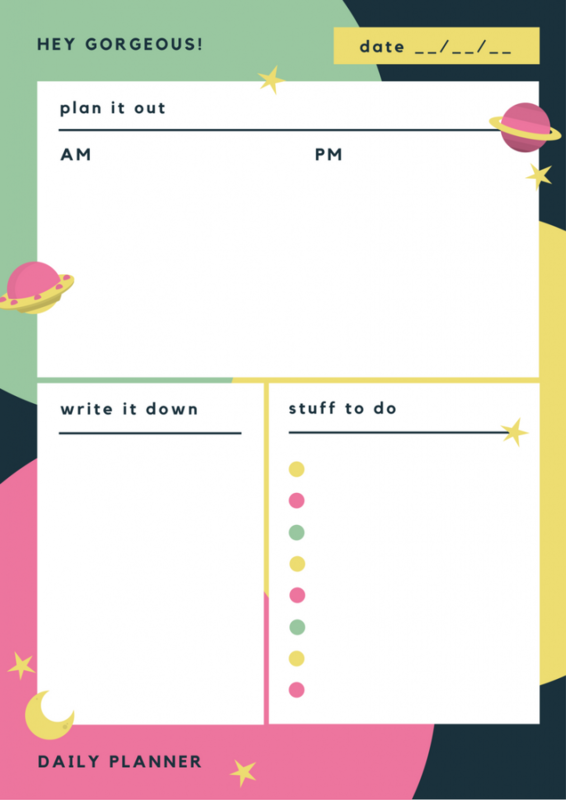 If you’re more a digital kind of person, then you might want to fill out the plan for a specific day and then save it as your background on your laptop or even on the phone. You see, this is where having a pretty daily planner comes in handy. You can set it as a background and it will not only look cute but also remind you of your goals for that day. That way you get constantly reminded of your to-do’s in a positive way, and once you’re finished with all your tasks, you can change your background back to normal. Why should you do that, you ask? Becaaaause nobody likes those ugly calendar reminders popping up, and besides, they’re not that efficient, at least for me personally. I just keep pressing on later lol. Now that we’ve talked about that, let’s get into some details about how I try to be more productive. Now I know that this is very highly aimed and I haven’t been the best at this either but it sure is one of my goals. Getting up early is especially hard when it’s so dark and cold outside. Nobody wants to get out of their warm bed – but you know what? Nobody said you’d have to either!? Just get up quickly to make your breakfast and a coffee, and head right back to your bed. Having breakfast in bed makes it easier to wake up slowly because it’s cozy. Then you can get to all your to-do stuff also in bed, just bring your laptop and chill under your warm blanket. Another thing that makes waking up early easier is to make your room/home more cozy. I bought a chain of lights and wrapped it around some decoration sticks from a vase – it still looks like Christmas in my home 😛 But small things like that make it easier to keep a positive attitude. While it’s obvious that the key to this is going to sleep early, I think it’s great to get your day started with being productive. Misery loves company – sharing your sorrows with your love, friend, colleague or family member will make it easier, trust me. Holding each other accountable for things is also a great way to get your plans done because you don’t want to leave the other person hanging. I hope this post encouraged you to do something productive and stay positive! Soon, I will be back with some regular outfit posts and life updates for you guys, promise.